Skyness offers a solution for defining or prioritising energy renovation needs. This solution supplements energy audits and provides high-quality data for diagnostic or technical inspection missions. Our service is aimed at heating engineers, design offices, contractors, façade and roofing specialists, property managers and local authorities. 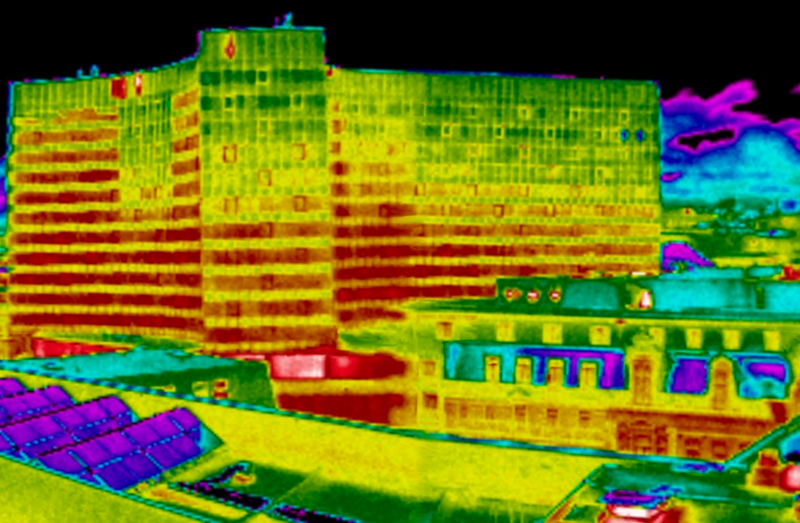 Thanks to the photo report combined with infrared imaging, you can identify or verify the causes of leakage in a building and prioritise the work to be done to cut energy consumption. Locating water ingress in the building. Photos are always taken from the best possible position, perpendicular to the surface to minimise artefacts such as thermal reflections, which can compromise thorough analysis. lePhotos are always taken from the best possible position, perpendicular to the surface to minimise artefacts such as thermal reflections, which can compromise thorough analysis. During the thermal imaging operation, the ZENMUSE FIR thermal camera mounted on the DJI INSPIRE 2 drone captures thermal images and digital photos to act as a reference. 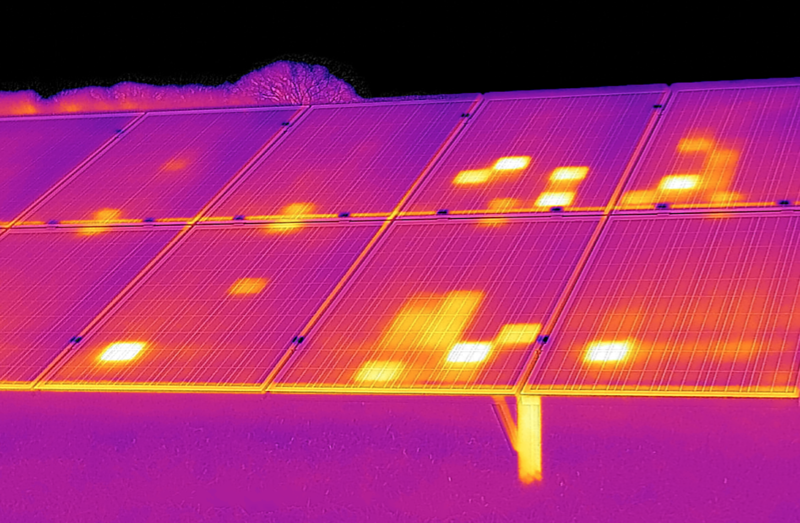 The viewpoint chosen for thermal imaging can immediately be identified, confirming precisely the area covered and the locations of defects (thermal bridges, missing insulation, energy-intensive zones).